Sometimes you find the website hosted with us inaccessible. 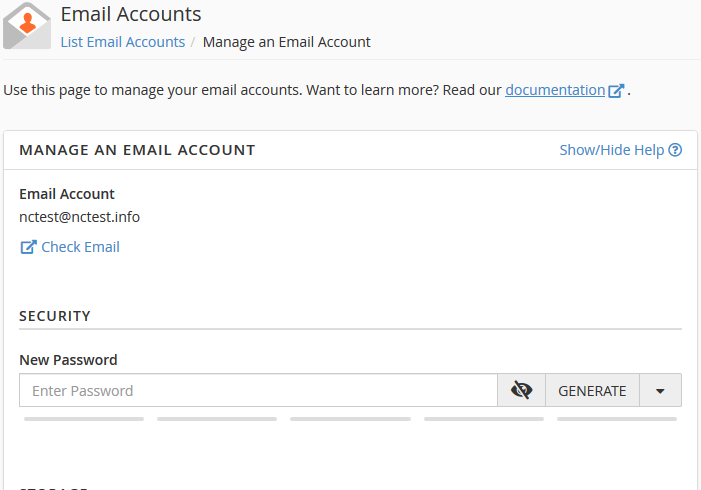 More than that, you are not able to access cPanel and webmail. The links http://serverIP/cpanel and http://cpanel.domain.com are displaying an error message Server connection timed out. What is happening? First of all, you should check whether your server is up. Please visit http://status.namecheap.com to see if there're any known technical issues. If server is running normally, most likely, your external IP address was blocked by Firewall. Automatic firewall blocks are created for a certain external IP address from which unauthorized access attempts were noticed by the Firewall monitoring program. In case of 20 failed login attempts from your IP address, it gets temporarily blocked for 10 minutes. If more failed login attempts are detected during this period, the IP gets blocked permanently. If the server detects 15 failed login attempts from different IP addresses, this account will be temporarily locked for 5 minutes. So, if you find yourself not being able to connect to the website, cPanel and webmail from a certain computer, most likely, you have triggered the Firewall rules. Please contact our Support and we will gladly unlock your IP. You can check your external IP address here. NOTE: You can use Roboform and Lastpass web browser addons to keep your login details safe and secure without having to type and remember them. The email client settings may also cause an IP block, so if you are struggling with an email client setup, it is better to delete the non-functioning email account from the email client and start from scratch later. You can find the correct settings here. We will also be happy to assist you with its setup in LiveChat. Make sure your FTP client is using correct login details and appropriate settings. You may check them here. Please make sure you use port 21 for FTP and 21098 for SFTP (SSH). Note that we enable SSH per a user's request. Therefore, please contact us via Support with the request to enable SSH. The tips on how to connect via SSH can be found here. 2. Under the left sidebar menu on the Settings window, you should see the Transfers option. Click on it. 3. Under Concurrent transfers, you have the label "Maximum simultaneous transfers:", then a text box with a numeric value in it. Make sure that the number is 3 or less. It is recommended to keep this value at 1 if possible, because having multiple connections will slow down your uploads in the long run. If the value is more than 3, you may get blocked. To change the maximum number of concurrent FTP connections on a per-site basis, you need to go to File -> Site Manager. Click on the saved website you wish to edit and click on the "Transfer Settings" tab. 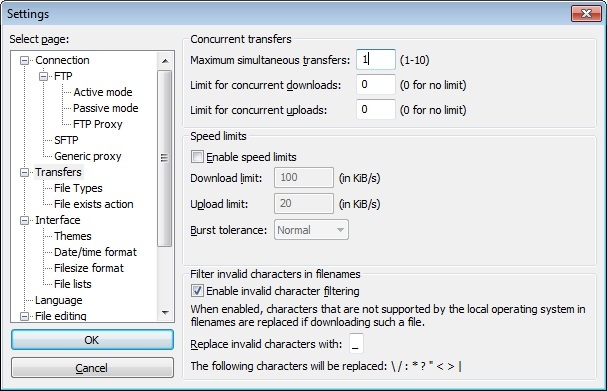 Change the value in the text box listed there to 3 or less, hit the button labeled "OK", disconnect and restart FileZilla for the changes to take effect.